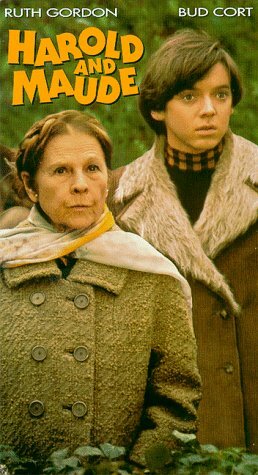 Harold and Maude (1971) was one of the weirder movies I had seen in a while. It had its nice moments, though. For example, the cinematography is quite attractive, even though the lady is pretty old and wrinkly-- she looks pretty in many of the scenes. This movie had funny bits, particularly the practical jokes that Harold pulls. I did not want to believe the love story, though-- I was a bit shocked when he was blowing bubbles in the bed-- you know what scene I mean when you see it. However, it iw a much better movie than Poison (1991), which I didn't really "get".